Prince George, B.C. 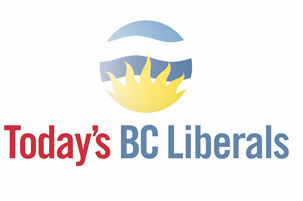 – The road to replacing former BC Premier Christy Clark as leader of the BC Liberals continues. Today the party announced their executive met Sunday in Vancouver where they agreed to key elements of the leadership election process and appointed a rules committee to develop the rules and procedures that will guide the race based on that framework. The executive includes elected reginal directors from throughout B.C., table officers elected at the party’s biennial convention, and representatives of the BC Liberal Indigenous, women’s, and youth organizations. The party says all members of the executive have promised to remain neutral throughout the process. Members of the rules committee includes Sharon E. White, Q.C. of Vancouver, vice-president Donald A. Silversides, Q.C. of Prince Rupert, membership chair Luke Strimbold of Burns Lake, and constitutional advisor Frank B. Carson, Q.C., of Victoria. The leadership process started when former premier Christy Clark announced she was resigning as leader of the BC Liberals last month. Langley East MLA Rich Coleman replaced Clark as the party’s interim leader Aug. 4.
plan to legalize Uber. Well done Brain Trust.